Congratulations! You’re one step nearer to getting a full return on your investment in customer service training. Look out for my email to download your free guide. 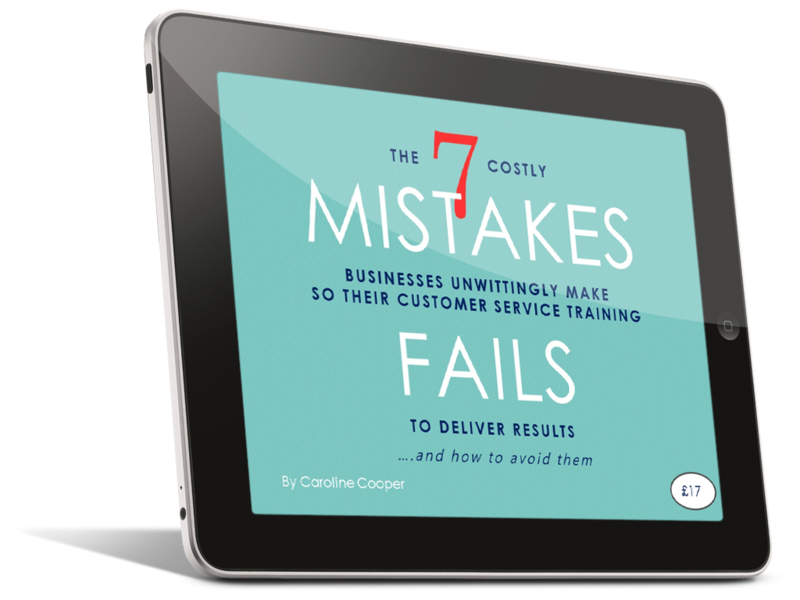 Thank you for requesting my guide to The 7 Costly Mistakes Businesses Unwittingly Make So Their Customer Service Training Fails To Deliver Results. Most businesses I talk to are losing out on their investment in training for at least one of these reasons. I’d love to hear from you and find out what your biggest challenge is. In the guide you'll discover the main reasons why customer service training can so often fail. And as you'll also discover it takes more than just the training sessions to improve the customer experience. So to complement the guide you may also be interested in a free copy of my tips booklet (all you pay is postage and packing - make sure you enter the coupon code CST on checkout to take the price off). 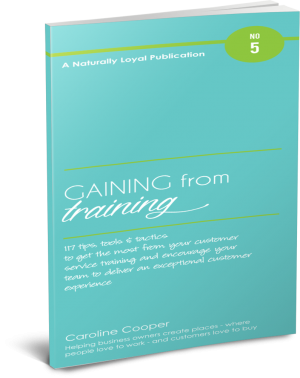 The booklet contains 117 practical tips, tools and tactics to get the most from your customer service training and encourage your team to deliver an exceptional customer experience. Ensure you enter CST in the coupon code to claim your copy for free!